Nearly two years after his death, Sgt. Jeffrey Kampschaefer was honored by his colleagues on Sunday. 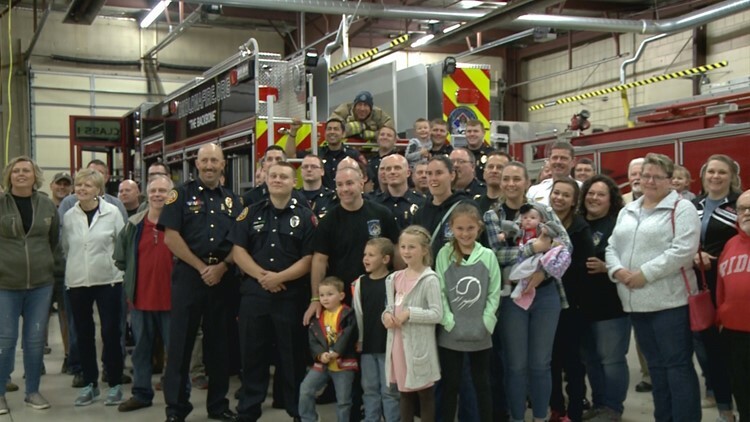 LOUISVILLE, Ky. (WHAS11) – An Okolona firefighter was remembered Sunday as his fellow firefighters dedicated their newest fire engine in his honor. That engine honors Sergeant Jeffrey Kampschaefer, who died in December 2017 from non-Hodgkin’s lymphoma when he was 37-years-old. Officials gave the truck the number 33, since Kampschaefer used to say the firefighters were the backbone of the community and the human spine has 33 vertebrae.